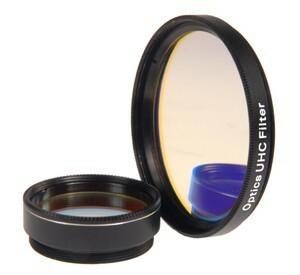 This is a neutral density (grey) filter that reduces the amount of light and increases the contrast. With the appropriate grey filter you can use the photographic AstroSolar filter for visual observations. Castell #56 Green Planetary Filter 24% Transmission - 1.25"
Castell #82A Light Blue Planetary Filter 73% Transmission - 1.25"
Castell #80A Blue Planetary Filter 30% Transmission - 1.25"